Nats Replace Span with Revere – Or is it the Other Way Around? The Washington Nationals sent reliever Drew Storen to the Toronto Blue Jays in return for Ben Revere. Wait, didn’t the Nats already have Ben Revere? 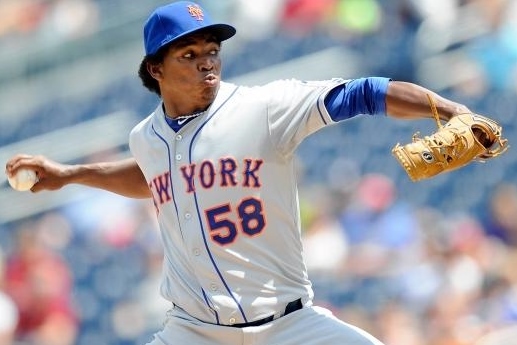 Mejia started over again in Washington. Yesterday’s double header split was a small, concentrated example of how the Mets have teased us over the last few years. They blew out the Washington Nationals, a preseason favorite to win the NL East, 11-0, in what was nearly a perfectly played game, then lost the nightcap 2-1 in typically frustrating fashion. With Labor Day behind us and September in full swing, one question is on every baseball fan’s mind: who will take the coveted middle spot in the National League East?